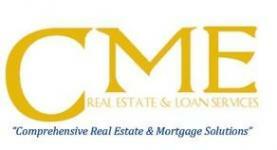 Thank you for choosing Northern California's premier one-stop shop for Real Estate & Mortgages! We believe that excellent service and a reputation for honesty, integrity and reliability are just as important as helping you get the financing you need to refinance or buy the home of your dreams, as well as effectively marketing your current home. Our website provides seamless access to 1000's of properties for sale,free home value quotes, tips and advice for both buyers and sellers, local community and school information, fully interactive mortgage tools, answers to frequently asked questions, and much more.